Photo courtesy of Bend Garbage and Recycling Company. Take a drive around Bend every other Thursday—or whatever day recycling happens in your hood—and you'll see it: streets lined with the big Blue recycling bins, overstuffed like it's the 26th of December, plastic bags blowing down the street from the spring winds. Curbside recycling got its start in Oregon in 1983 in reaction—ironically—to a shortage of space in landfills, according to Oregon.gov. The Opportunity to Recycle Act stated that cities over 4,000 in population had to provide monthly curbside recycling service. The laws were strengthened in 1991, with the passage of the Oregon Recycle Act, which broadened recycling requirements and added activities to develop markets for recyclable materials, Oregon.gov says on its webpage. The idea behind recycling is an honorable one, in fact, people across the country have been able to live completely off the landfill grid—recycling everything they throw out—but China's recent decision to no longer be the "world's garbage dump" may have serious repercussions for the local recycling community, and the world. In 2017, China filed with the World Trade Organization to stop importing 24 kinds of solid waste by the end of the year. In 2016, according to the Institute of Recycling Industries, China imported $5.6 billion in scrap commodities from the U.S. alone, 13.2 million tons of scrap paper and 1.42 million tons of scrap plastics. Originally, China took most of the world's recycling to supply its manufacturing boom, but has put a halt on what Chinese officials have called, "foreign waste," according to a story on NPR. In the same article, Rogue Waste Systems, a Southern Oregon company that collects recycling from curbside bins, said there are always nonrecyclables mixed in, like rolls of linoleum, gas cans and a surprising number of knitted sweaters, the article said. All of this jams up machinery and makes the hand-sorting of recycling materials a real chore. 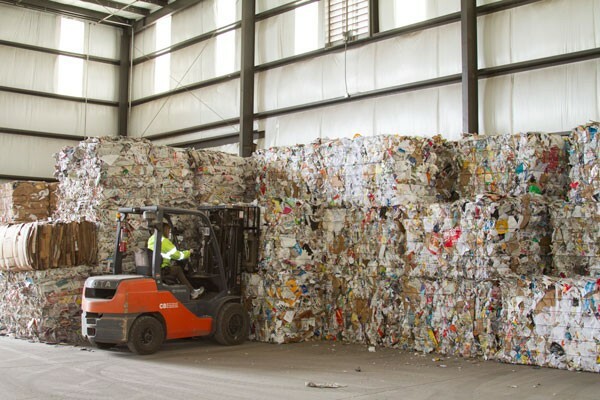 According to Susan Baker of Bend Recycling and Garbage Company, Bend's recycling is picked up from the curb by either BRGC or Cascade Disposal, then it's baled at Mid Oregon Recycling, then shipped to a processor—usually either Pioneer Recycling or Far West Fiber, both located in the Portland area. "Our message to customers is to 'Recycle right' and only put in what is approved on the recycling guide," Baker told the Source. "If in doubt, leave it out. The better the quality of the material, the more sustainable these (recycling) programs will be." Denise Rowcroft, who works at Bend's Environmental Center, has advice for Central Oregon residents who recycle: "It's a wildly held belief (that if plastic has a recycling stamp on it, they can throw it in the blue bin no matter what) and it stems from the origins of recycling programs, which used to refer to certain numbers. However, you will find that recycling symbol on virtually all plastic material—it is a plastic industry invention to designate different types of plastics, [but] it doesn't mean it is necessarily recyclable." "Here in Central Oregon, like many communities in our state, accept 'plastic bottles, tubs and jugs.' When people aren't sure and they toss it in the bin, they are essentially being a 'wishful recycler,' which over time has actually contributed to this whole China situation." In the NPR story, Rogue Waste Systems said it had stacks of orphaned recycling bales in its warehouse and the parking spaces have been taken over by compressed cubes of sour cream containers, broken bottles and junk mail. And, now that these items have no place to go in the marketplace, guess where they will end up? Correct, right back in the place our 1983 legislation attempted to mitigate: the dump. "Recycling is important because it reduces the amount of virgin material being extracted/harvested from somewhere on our earth to make stuff," Rowcroft said. "It's a bummer when recyclables go into the landfill, but this is the main reason why it's so important." "Although the shifting global recycling market is out of our control, our bad habits of 'wishful recycling' has led to some of this, so it's more important than ever that everyone take responsibility for knowing what goes into recycling and what goes into trash—from your workplace breakroom, to your vacation rental, to your church or favorite restaurant—if you work or frequent somewhere that doesn't provide a recycling bin, or they have poor signage, let them know." As of now, there are no piles of recycling sitting at Mid Oregon Recycling, Baker said. "Everything that is being collected curb side is being recycled," she said. "The material is able to move right now, we're not seeing stuff piling up." Another way to mitigate what ends up in the recycling bin, or the landfill, is to shop locally and use renewal bags at the grocery store. According to a report done by Stanford C. Bernstein and Company, Amazon ships on average 608 million packages a year, or roughly 1.6 million per day. 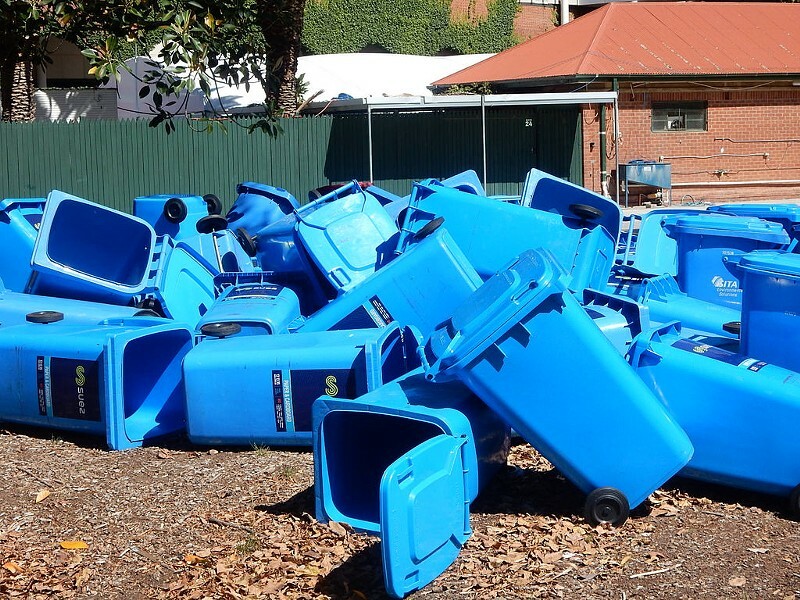 That gives the possibility of over a million corrugated boxes ending up daily in the Blue Bins. "Over time we have generally increased the percentage of material that we are recovering through recycling and composting," Rowcroft said. "But we are also just bringing more to the curb in terms of actual tonnage. There are so many big and small things that we can each do to help mitigate this, from choosing to live in smaller homes, to avoiding single-use disposable items, to bringing our reusable bags to the store—there are lots of ways to prevent and reduce waste, which is ultimately more impactful." You can contact your local garbage provider for a recycling guide or download one from its website.